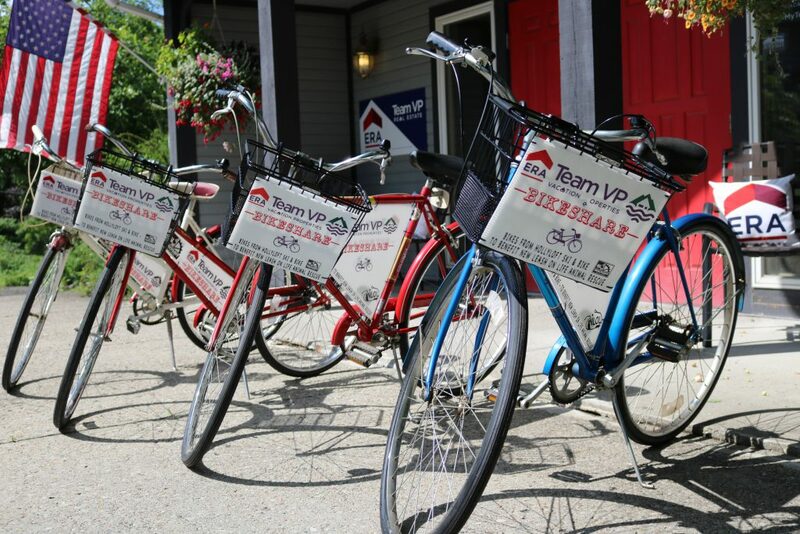 ERA Team VP Real Estate & Vacation Rentals was proud to collaborate with Hollyloft Ski and Bike to announce their new “Bikeshare Program” at the Chautauqua Institution ERA Team VP office on 1 Morris Avenue. The collaboration will benefit a local animal rescue group, New Leash on Life (NLOL). 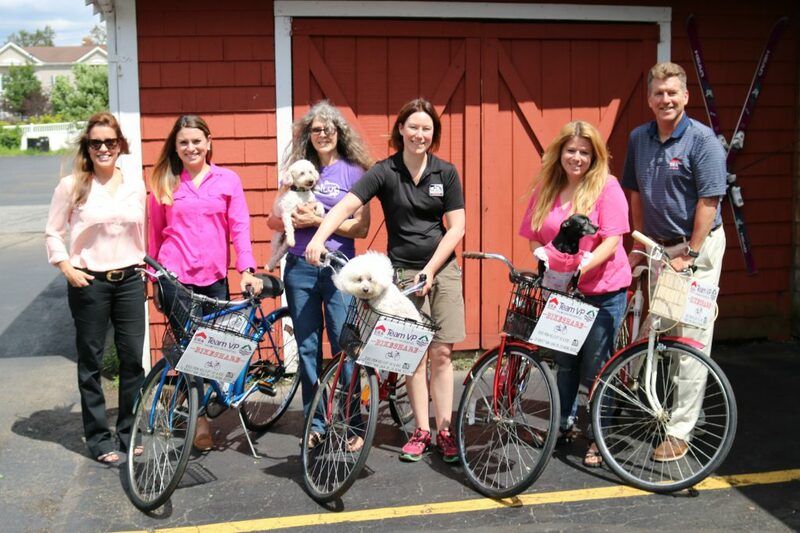 As part of the program, ERA Team VP purchased used vintage style bicycles from Hollyloft to be used on the grounds at the Chautauqua Institution for appointments, showings, and vacation rentals. Hollyloft refurbished the bicycles and worked with ERA Team VP to design the promotional artwork displayed on the bikes. Hollyloft currently partners with NLOL to benefit the homeless pets in our communities. Throughout the year Hollyloft seeks used bicycle donations from the community, to be sold for scrap metal, used for parts, or to be fixed up and resold, with all proceeds to benefit NLOL. For more information or to donate or purchase a bike as part of the partnership between Hollyloft and NLOL, visit 600 Fairmount Ave., Jamestown, NY or online at hollyloft.com. To learn more about NLOL, make a donation, or find a forever friend visit them on Facebook.